IT services firm Larsen & Toubro Infotech has appointed former Cognizant senior executive Nachiket Deshpande as its Chief Operating Officer. 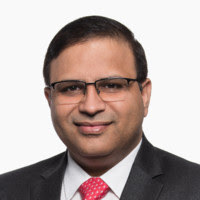 In his last role as the Senior Vice President & Global Delivery Head for the Banking and Financial Services unit at Cognizant Technology Solutions, he was responsible for global delivery and P&L across all services lines, products, and platforms, as well as driving large-scale skills transformation. In a career spanning more than two decades, he has held management positions in the US, Europe, and Asia across delivery, practice building and client facing roles. Nachiket brings more than 23 years of rich experience and holds a degree in electronics engineering from the College of Engineering, Pune, India.